Colors and stories are mixed, creating shades of living. 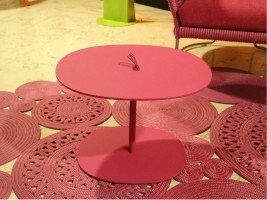 The creations signed by Paola Lenti give life to homogeneous settings, whose elements communicate through color. The latter is nothing but a visual perception, the manifestation of electromagnetic particles that can be perceived by our eye and deciphered by the brain. We are therefore talking about communication through energy in movement, dynamism and subjective interpretation. 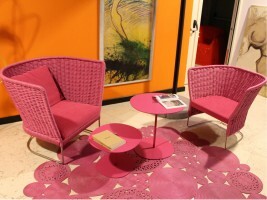 Choosing Paola Lenti furniture means taking part in the set-up of contemporary art exhibitions open to a fine public. 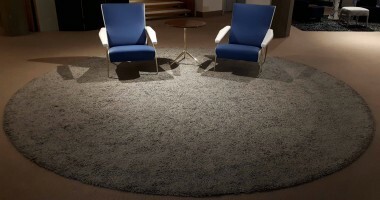 The undisputed protagonists of these domestic “exhibitions” are felt carpets and arabesque rugs, as well as modular poufs and outdoor sofas. Guests and hosts meet and share spaces, staging social dynamics; these are nothing more than stories to remember, episodes of life to be captured as snapshots that in a few seconds give shape and color to eternal moments. Since 1994 the company has found its strengths in continuous research and experimentation, always with an eye to the Made in Italy traditions. Technology plays an important role in the production of indoor and outdoor furnishing elements. The study of raw materials and their performance allows us to offer our customers excellent products, both in terms of aesthetics and durability. All materials used are eco-friendly, in line with a production that aims to protect the environment: every business result also represents an interest for the community. The wood that is used for the structures of chairs, sofas and other accessories comes from forests managed in a sustainable manner; the coatings of each product, as well as the carpets, are absolutely free of toxic substances. 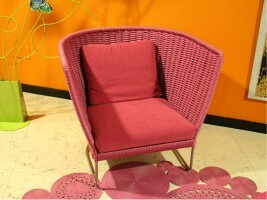 Among Paola Lenti retailers, Interni Mobili & Design is the leader in home design and furnishing. For more information on the brand continue reading and consult the catalog below. The company line followed by designers expresses lightness and balance, aiming to create environments that establish links between opposites: past and present, indoor and outdoor, tradition and technology. Paola Lenti sofas explain this objective by experimenting new shapes that fit perfectly with modular seating. The Uptown indoor sofa with soft and welcoming shapes, offers a feeling of comfort at first sight. This perception is confirmed by touch: the polyester upholstery consists of a textile structure that is both soft and resistant. Through different combinations of colors you can give more or less dynamism to the rooms. Island, an outdoor sofa with a steel structure, follows the same principles, projecting them towards functionality suitable to integrate with nature: the same upholstery is designed to withstand atmospheric agents and does not absorb water or humidity. With Paola Lenti poufs it is possible to create unexpected dynamic correspondences through their variations of shape, color and texture. 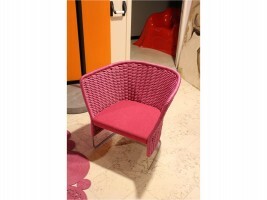 Starting from the more squared ones like Cubo, up to the spherical Picot, all poufs will be able to amaze you. Any piece of furniture, even the most classic, can transform itself into a unique style icon thanks to the design variation offered by the company. This is the case of the Portofino folding beach chair, which, winning the Good Design Award in 2016 establishes itself as a vintage furniture item with a vanguardist essence. The studies on usability and ergonomics have provided it with removable mattresses, as well as the possibility of inserting a back cushion. Portofino completes the line with a series of coordinated dining and bistrot tables. Paola Lenti’s design experience has deep origins: the combination of comfort and functionality places her roots firmly into the ground. The ground is the source of stability, the origin of the gravitational center that gives balance to objects. So, to enhance the surface, refined carpets become essential, designed to enrich the spaces from the first step taken into the room that bears the brand’s signature. Paola Lenti carpets, acoustic and thermal insulation, lead gently to a world of shapes and colors to be discovered.